Nintendo has been tight lipped about the forthcoming Pokémon titles due out later this year. 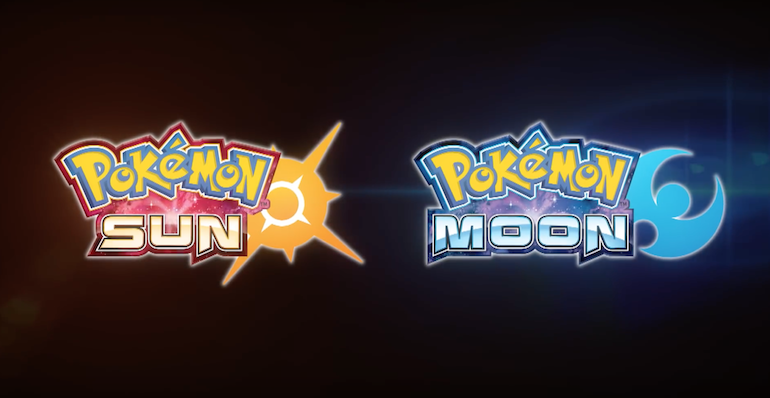 But new reports suggest that we will get our first view of "Pokémon Sun" and "Pokémon Moon" in early April. According to Gamespot, Pokémon fansite Serebii.net picked up word that the first footage of "Pokémon Sun" and "Pokémon Moon" would be shown on Japanese variety show "Gathering at the Pokémon House." There will be a few guest who will speak of the coming title including series director Junichi Masuda, battle director Shigeki Morimoto and "Pokémon Omega Ruby" and "Pokémon Alpha Sapphire" director Shigeru Ohmori. The existence of the titles were leaked when Nintendo's trademarks for them were found on the website of the European Union's Office for Harmonisation in the Internal Market. The games were then officially announced the following day in a Nintendo Direct presentation that also commemorated the franchise's 20th anniversary. We don't know too much about the title but it is believed the latest revealed Pokémon, Magearna, will be featured in both games. We also know that "Pokémon Sun" and "Pokémon Moon" will launch with support for nine languages including: English, French, Spanish, German, Italian, Japanese, Korean, and, for the first time, traditional and simplified Chinese. Users will be able to use Pokémon Bank in the new titles as well. Gamers are able to transfer Pokémon they've caught in the Nintendo 3DS Virtual Console versions of "Pokémon Red," "Pokémon Blue," and "Pokémon Yellow" into your copy of "Pokémon Sun" or "Pokémon Moon." Pokémon from "Pokémon Omega Ruby," "Pokémon Alpha Sapphire," "Pokémon X" and "Pokémon Y" can also be brought into Sun and Moon in the same way. Furthermore, concept art was shown during the initial announcement indicating that Pokémon Centers and Poké Marts would receive updates to their respective designs. Websites IGN and Kotaku also noted an abundance of vehicles in the concept art including fire engines, pickup trucks and ambulances, with some of them ridden by Pokémon.